Thyroid Lymphoma. Lymphoma involving the thyroid gland is rare, accounting for only 2% to 3% of all cases of lymphoma and less than 10% of thyroid malignancies. Women are affected more frequently than men are by a ratio of 2.7:1. The median age at presentation is over 60 years. The most common subtypes are DLBCL and follicular Grade-3 lymphoma, accounting for at least 80% of cases. A rare but interesting subtype is marginal zone B-cell lymphoma, which arises from MALT. In many cases, this lymphoma arises from a background lymphocytic infiltrate occurring in the setting of Hashimoto's thyroiditis. MALT lymphomas are low grade and clinically indolent. 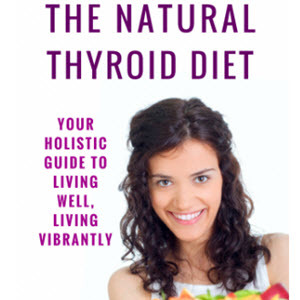 Hodgkin's disease may rarely involve the thyroid gland (10), sometimes as the only site of disease. Burkitt's lymphoma and follicular Grade-1 and -2 lymphomas occur less frequently (11,12). FIGURE 1 (A) Patient with enlarged thyroid gland simulating a goiter. FNA was nondiagnostic, and thyroidectomy was performed for compressive symptoms. (B) Computed tomography scan of the same patient showing infiltrative process involving the thyroid gland. Abbreviation: FNA, fine needle aspiration. definitive treatment of lymphomas in general, the diagnosis in the thyroid may not be suspected preoperatively, and a thyroid lobectomy or even a total thyroidectomy may be performed inadvertently. A study comparing thyroid lymphomas that were debulked aggressively to those undergoing biopsy only, showed no difference in survival (13). Fine needle aspiration (FNA), frequently performed for thyroid masses, is often nondiagnostic in cases of thyroid lymphoma. If the diagnosis is suspected, flow cytometry, immunohistochemical staining, and molecular markers can be performed on specimens obtained by FNA, provided that cellularity is adequate. Such specimens are best obtained with the assistance of a pathologist to ensure that an adequate amount of material has been obtained. Success rates for diagnosis of thyroid lymphoma from FNA range from 25% to 80%, but many authors state that open tissue biopsies may still be required to complete the diagnostic evaluation in the majority of cases. If the diagnosis is suspected but cannot be made on FNA, it is appropriate to perform an incisional biopsy without lobectomy. Management depends primarily on the histology of the lymphoma. Localized aggressive lymphomas are treated with curative intent, currently with three cycles of CHOP-R chemotherapy (cyclophosphamide, doxorubicin, vincristine, and prednisone, + rituximab) followed by involved field irradiation; or with six cycles of CHOP-R, with or without involved field irradiation (11). Indolent lymphomas, if localized, should receive involved field irradiation, as this may be curative in a significant proportion of patients (14). Waldeyer's Ring Lymphoma. Lymphoma involving Waldeyer's ring accounts for more than 50% of all extranodal head and neck lymphomas. It most frequently involves the adenoids and tonsils. The base of the tongue is less commonly involved. Patients may present with a mass or evidence of compression with dysphagia, airway obstruction, or Eustachian tube blockage. Associated neck adenopathy may also be present. The overlying mucosa may be intact and diagnosis must be made by biopsy. The most frequent histology is the aggressive diffuse large-cell lymphoma, mostly of B-cell origin. This subtype accounts for 50% to 75% of cases (15,16). The indolent types, follicular and small lymphocytic lymphoma, also occur, but much less frequently (16). Extranodal marginal zone B-cell lymphoma does not commonly occur at this MALT site. Mantle-cell lymphoma has a particular propensity for the gastrointestinal (GI) tract and frequently may involve the nasopharynx (17). As is true for unsuspected GI involvement, blind nasopharyngeal biopsies will often demonstrate involvement in clinically unsuspected cases. Peripheral NK-/T-cell lymphomas are also rare at this site, in contrast to the higher incidence in the nasopharynx (16). Rare cases of Hodgkin's disease have been reported, affecting Waldeyer's ring. Most cases have been Stage 1 or 2 and the lymphocyte-predominant histology accounted for the majority (18). Nasal Cavity and Paranasal Sinus Lymphoma. This region does not normally contain lymphoid tissue and NHL at these sites can be derived from B-cells, T-cells, or NK-cells. T-/NK-cell NHL is a specific entity, rare in the United States and Europe but seen most commonly in Asians and native Peruvians. It is associated with the EBV in the vast majority of cases and previously was termed lethal midline granuloma. Males are more frequently affected; the median age is 43 (19). It is an angiocentric, destructive lesion, with primary involvement of the nasal cavity. The paranasal sinuses are also frequently involved and can be associated with systemic disease (19). NK-/T-cell lymphomas have a predilection for relapse at distant extranodal sites. CNS prophylaxis should be included as a component of initial therapy. Additional sites where relapse is common include the skin, testes, orbit, and GI tract (20). Approximately 25% of maxillary sinus malignancies are lymphomas. In Caucasians, nasal lymphomas are most commonly diffuse large B-cell aggressive lymphomas. Most often, they are Stage 1 or 2 at diagnosis and frequently, primarily involve the paranasal sinuses (21). CNS relapse is not unusual, prompting some authors to recommend CNS prophylaxis as part of the initial therapy (22). Marginal zone B-cell lymphoma, Burkitt's and Burkitt-like lymphoma also occur. Nasopharyngeal lymphoma can present with nasal obstruction, sinus infiltration, pain, bloody nasal discharge, or facial swelling (Fig. 2A and B). Biopsy is required for diagnosis, and management is nonsurgical. Treatment options include radiation alone, but this is associated with a high local failure rate, especially in the T-/NK-cell type, and patients are generally treated with a combined modality approach utilizing adriamycin-based chemotherapy and irradiation (23). FIGURE 2 (A) Patient with non-Hodgkin's lymphoma of the maxillary sinus, presenting with right cheek swelling, pain, and nasal obstruction. (B) Computed tomography scan of patient in Figure 2A, showing opacification and expansion of right maxillary sinus, with possible bone erosion. At the time of biopsy by endoscopic sinus surgery, the orbital floor and lamina papyracea appeared to be dehiscent. similar to Hashimoto's disease of the thyroid gland, can be a precursor to the development of lymphoma. In the absence of overt manifestations of lymphoma, monoclonal infiltrates demonstrated by polymerase chain reaction (PCR) have been reported. This finding has been reported in lymphoepithelial sialadenitis, also known as myoepithelial sialadenitis, a condition associated with lymphocytic infiltration of the salivary gland (24,25). Such patients are reported to have a 44-fold increase in the incidence of subsequent salivary or extrasalivary lymphoma, and they have a lifetime risk of 4% to 10% of developing lymphoma. The vast majority of lymphomas developing in this setting are of the MALT type, but more aggressive histologies also occur (26). Lymphocytic infiltrates are also described in the setting of HIV infection. In such cases, the infiltrate is generally polyclonal without an obvious increased risk for the development of lymphoma. Lymphoma arising in association with Warthin's tumor has also been described, albeit rarely (27). Most salivary gland lymphomas occur in the parotid gland. Apart from the submandibular gland, other salivary gland sites are rarely affected. Diagnosis is made by biopsy and flow cytometry. Staging procedures include imaging and a bone marrow study. If localized, irradiation can result in excellent long-term control. If the diagnosis is suspected in a patient with Sjögren's syndrome where there is a background of chronic inflammation, an attempt should be made to obtain the diagnosis by FNA with flow cytometry. In some cases, a small open, incisional biopsy can be obtained from the extreme posterior inferior aspect, or tail, of the gland, well away from facial nerve branches. Parotidectomy in patients with Sjögren's syndrome, with or without associated lymphoma, carries a higher risk of temporary and permanent facial paralysis than surgery for abnormalities in noninflamed glands. A patient with concurrent Sjögren's and lymphoma in the parotid gland is shown in Figure 3. Laryngeal Lymphoma. This is extremely rare and is the subject of case reports. Most cases described are DLBCL, but MALT lymphomas are also reported. The role of surgery is confined to biopsy and perhaps debulking or other measures to deal with airway compromise. Hard Palate Lymphoma. These lymphomas are very rare. MALT lymphoma and mantle cell lymphoma (MCL) have been described. A mass may occur, resulting in difficulty with pronunciation (28,29). Plasmacytomas may also occur at this location. 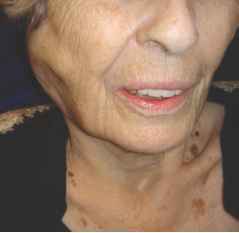 FIGURE 3 This elderly female had a long history of xerostomia and preexisting Sjogren's syndrome. 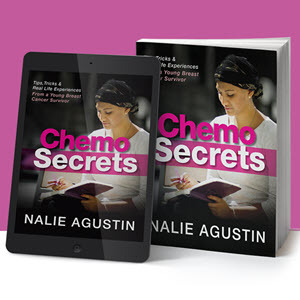 She developed a rapidly enlarging right parotid mass that proved to be NHL on incision biopsy. The biopsy was performed on the posterior inferior portion of the mass, well away from the facial nerve. Abbreviation-. NHL, non-Hodgkin's lymphoma. Orbital Lymphoma. Orbital lymphomas account for approximately 1% of all NHL and up to 15% of extranodal NHL. Lymphomas involving the orbit most frequently affect elderly patients. 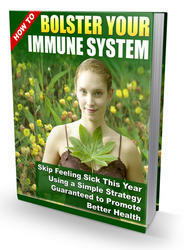 Females are affected more commonly than males. In most cases, the orbit is the primary and only site of disease. Occasionally, it is involved as a secondary site. The most common histologic types are indolent, with marginal zone lymphoma being most common. Follicular and small lymphocytic lymphomas, lymphoplasmacytic lymphomas, and plasmacytomas also occur (30,31). Aggressive histologies, such as DLBCL, occur less frequently. Mantle-cell lymphoma may also be seen at this site. Most cases involve the orbit, often with lacrimal gland involvement. Conjunctival involvement may be seen, with eyelid involvement much less frequently. Bilateral disease is rare, occurring in up to only 5%. Presenting symptoms most commonly include diplopia or blurred vision, proptosis, and excessive tearing. Eye pain may also be present (31). For localized disease with low-grade histology, involved field radiation is the preferred treatment modality and very high rates of local control can be achieved (32). For aggressive histologies, combined modality therapy is generally recommended.